Product #20628 | SKU JB01271 | 0.0 (no ratings yet) Thanks for your rating! 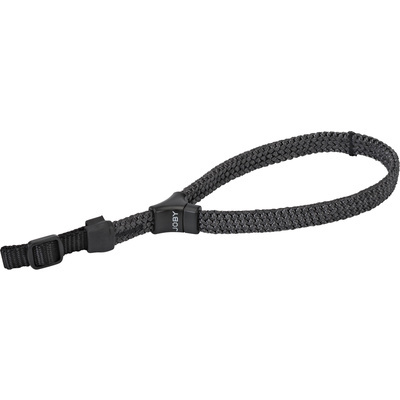 This lightweight charcoal DSLR Wrist Strap from Joby attaches to a DSLR or mirrorless camera. It is made from a braided nylon cord that has a cord lock cinch stopper to better adjust for a proper fit around your wrist. If you drop the camera while it is attached to your arm, the strap becomes tight to prevent the camera from swinging. To attach the wrist strap, simply insert the attachment belt into the side-lugs of your camera. There is a buckle on the attachment belt for adjusting the distance from the camera to your wrist.